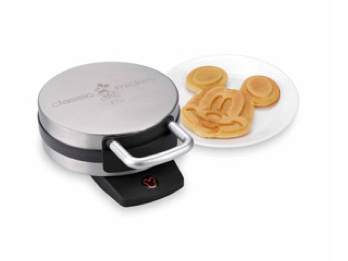 Disney Classic Mickey Belgian Waffle Maker Only $17.89 + FREE Store Pick Up! You are here: Home / Great Deals / Disney Classic Mickey Belgian Waffle Maker Only $17.89 + FREE Store Pick Up! How CUTE is this!? Kids will love eating breakfast with this nifty Disney Classic Mickey Belgian Waffle Maker which is priced at just $17.89 + FREE Store Pick Up!